I have heard the “third time is the charm”. Although I’ve never been well versed in statistics, I am conducting an experiment to determine its validity. This is the third column I have dedicated to you, the Aurora citizen, on the importance of locking your car and your home to prevent those individuals who cannot help themselves to supplement their material possessions by stealing yours. My second column on this topic was delivered with “tough love”. Looking back, I see now that my tone was harsh and scolding but I thought that method was well suited to break your pattern of complacency. At our most recent CompStat meeting, a venue where we report on crime trends in the City, each Lieutenant reported that burglary is still the overwhelming problem in their respective areas. This should not surprise you. Historically we have noted that when the economy is in the tank, it brings with it a rise in property crimes. One does not have to be an astute criminologist to understand that desperate times often result in desperate acts. However, each Lieutenant also reported that an overwhelming percentage of burglary victims admitted that their vehicles or residences were unlocked at the time of the crime. My scolding obviously did not result in a change in your behavior. Since I’m not one to give up easily, I will now appeal to you in softer tones. I’ve decided to make a plea to those of you living in the “it won’t happen to me world.” PLEASE stop leaving your doors unlocked, your garages open, and your GPS devices, iPods, and other valuables inside your vehicles in plain view so that thieves won’t steal them! Crime cannot exist without opportunity. 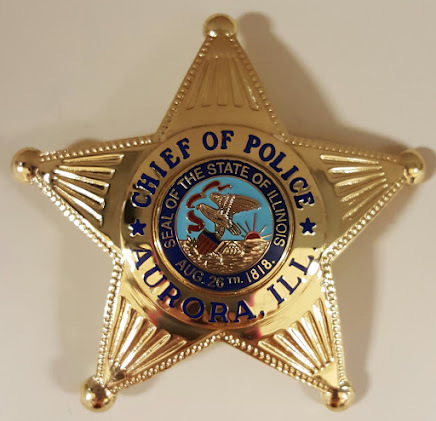 You, my fellow Aurora citizen, continue to provide the crucial component of opportunity for criminals to victimize you. The most successful cops I know have the ability to think like a criminal. Years of experience in dealing with crime and criminals allow them insight into the dark side of the human psyche. Please join me in that journey for just a moment. You continue down the street, pleased with the high number of unlocked vehicles. Your back-back is getting heavy from the purse, laptop, camera, and other valuables you stole so you call it a night. You walk boldly down the street to your car that is parked a few streets over. Even if someone saw you, they will rarely think anything of it because you don’t do anything overtly “suspicious”. You have learned over the years that people will second-guess themselves and ultimately do nothing. That is, until the following morning when neighbors swap stories about being burglarized. Only then will someone remember seeing a person walking down the street with a back-pack. By then, you will be home making plans to visit a different neighborhood. Through my “third time is the charm” role-playing experiment, my hope is that you will begin to think like a criminal as a means to prevent being victimized. If you don’t, I’m out of ideas.